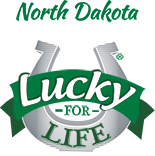 Lucky for Life is THE GAME OF A LIFETIME, with a top prize of $1,000 a day for LIFE and a second prize of $25,000 a year for LIFE! There are 10 ways to win cash. A cash prize will be yours by simply matching the yellow Lucky Ball number. Each play costs $2. Drawings are held each Monday and Thursday night at approximately 9:38 p.m. CT. To be eligible on the nights of the drawings, you must purchase your Lucky for Life tickets before 8:30 p.m. CT.
How to play: Select five white numbers 1 through 48 and one yellow number 1 through 18 - the Lucky Ball. *Prize may be split among multiple winning plays. †20 year minimum. Certain “for life” prize limitations may apply and a cash option may be available. For complete rules, see the Lucky for Life official game rules. Watch the Lucky for Life drawings here.